EU-New Zealand | "The Voice of the European Services Sectors in International Trade"
On the 22nd of May 2018, the Council of the European Union authorized the decisions to open negotiations for a Free Trade Agreement between the European Union and New Zealand. 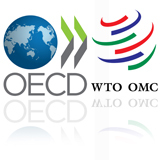 The council published the mandate for the trade agreement on the 25th of June 2018. In 2017 the EU and New Zealand entered into a partnership agreement, ended preparatory work for trade negotiations, and are now moving forward with rounds. New-Zealand (Aotearoa in Maori) is both a representative democracy and a constitutional monarchy with Queen Elizabeth II as the country’s head of state. It has a very specific administrative organisation due to its history. The Realm of New Zealand is the entire territory on which the head of state exerts its sovereignty through the Governor-General. That area comprises: Tokelau, the Ross Dependency, the Cook Islands, Niue and New-Zealand. The latter, corresponding to the country of New-Zealand, is a unitary state though it is divided into sixteen official regions. New-Zealand is a pro-active country in concluding FTAs. It has implemented nine agreements with Australia, both Australia and the Association of South East Asian Nations (ASEAN), China, Hong-Kong, Malaysia, Singapore, Thailand, the Republic of Korea and together Brunei Darussalam-Chile-Singapore. It is a member of the currently concluded Trans-Pacific Partnership (TPP) agreement; it also has concluded an agreement with the Gulf Cooperation Council (GCC) and was a member of the Anti-Counterfeiting Trade Agreement (ACTA). Finally, it is negotiating with India, the Pacific islands, the Russia-Belarus-Kazakhstan Customs Union, and together the ten ASEAN countries-Japan-China-the Republic of Korea-India-Australia; in addition, it takes part to the negotiations on the Trade in Services Agreement (TiSA). Especially, New-Zealand has been trading with Australia under a Closer Economic Agreement since 1983, which covers substantially all trans-Tasman trade in goods – including agricultural products – and trade in services. This partnership dates back to 1922 and had been modernised several times. It is important to realise how close relationship it is, because this will have an impact on our future FTAs with both parties. The potential FTA with New Zealand could act as a beachhead into Asia for European Business. NZ is a well-regarded trading partner with a stable and open economy and excellent access and connections both economic and political, into the Asia-Pacific. New-Zealand is the 53rd largest economy in the world and generated a GDP of $205.853 billion in 2017. The population reached 4,793 million of inhabitants in 2017. The World Bank report on “Doing Business” ranked the country on the ease of doing business as number 1 out of 190 in 2016, showing that the country is at the top of the freest market economies in the world in spite of its geographical isolation. With bilateral trade in goods amounted to €8.7 billion in 2017, the EU ranked 3nd largest trading partner of New-Zealand while New-Zealand was the 50th largest trading partner of the EU. When considering trade in services, it first needs to be highlighted that New-Zealand’s economic share in services accounts for 69% of the country’s GDP and the sector employs 3 out of 4 jobs. The EU-New Zealand trade in services represents 1/3 of their total trade, amounting to €4.3 billion in 2015. For New-Zealand, the EU was the 3rd largest services exports destination and the 2nd largest source of services imports in June 2015. Top imports include transport, commercial services and travel. 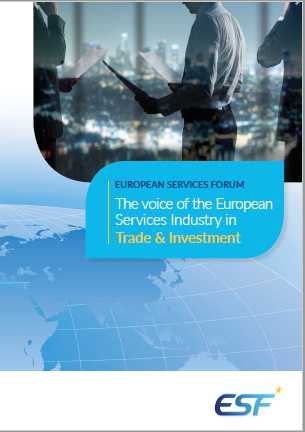 More globally, nearly two thirds of bilateral trade in services come from travel (€1, 028 billion), transportation (€177 million), education travel (€111 million) and commercial services (€362 million) such as merchanting, commission agent services, legal and other professional services, computer and IT services, royalties and licensing fees, financial and communications services. Sine 1999 the EU and New Zealand have bilateral agreement for mutual recognition that aims to facilitate trade in industrial products between the EU and New Zealand by reducing technical barriers, including assessment materials. New Zealand’s minister for trade and the EU’s Commissioner for trade held a meeting on the 7th of March 2017. In this meeting they announced the end of preparatory talks for potential EU-New Zealand free trade agreements negotiations. The next step will be the European Commission will ask the Member States for negotiating mandate to negotiate on behalf of the EU on the basis of specific objectives. link to DG Trade EU-New Zealand FTA here. link to DG Trade Questionnaire on EU FTA with Australia & New Zealand here. Link to New Zealand’s Foreign Affairs & Trade website here.